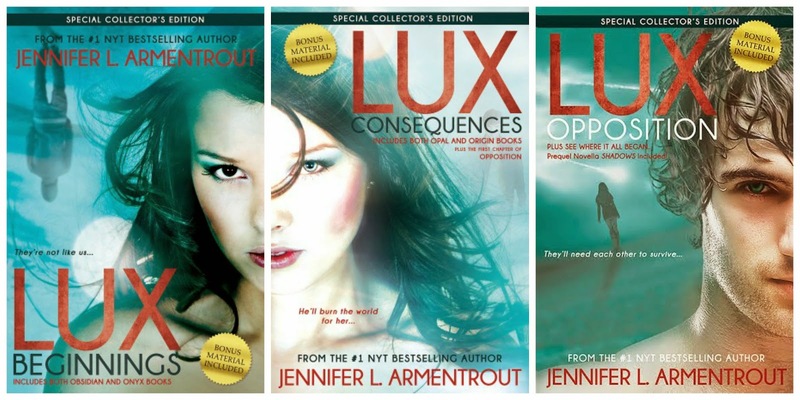 Today is the day you can get the beautiful new bindups of Jennifer L. Armentrout's LUX Series! I have to say that the original covers will always hold a special place in my heart, but these new bindings are totally awesome. I love the paperback versions that 'sparkle' and it's totally cool to get these four books bound together like this! And Ahhhhh, Opposition is coming, Opposition is coming. I am not sure I can handle it, seriously!